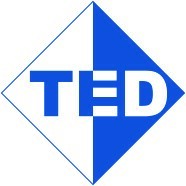 TED Construction & Developments LTD - Builder, Landscaper based in Selsey, West Sussex. With over 24 years experience in the construction industry, you can rest assured that your project is in very safe and capable hands. We pride ourselves on quality, and always ensure that we achieve the results that you are looking for. Our standards are high, as no doubt are your expectations, and because of this we strive for 100% customer satisfaction. We believe that communication is key, and will always be on hand to support and offer advice, every step of the way. Being honest, trustworthy and genuine down to earth people is at the heart of what we do, and who we are. We are happy to undertake any job, big or small. We’ve run large commercial projects as well as helping our customers achieve the aspirations they have for their own homes. We’ve even done work for Checkatrade themselves in the past! This is by no means an exhaustive list, so please do give us a call to discuss any requirements you have, or to arrange a no obligation estimate where we can come and visit you at your convenience.